The Burton XL-4000S is a traditional stand with innovative operation. 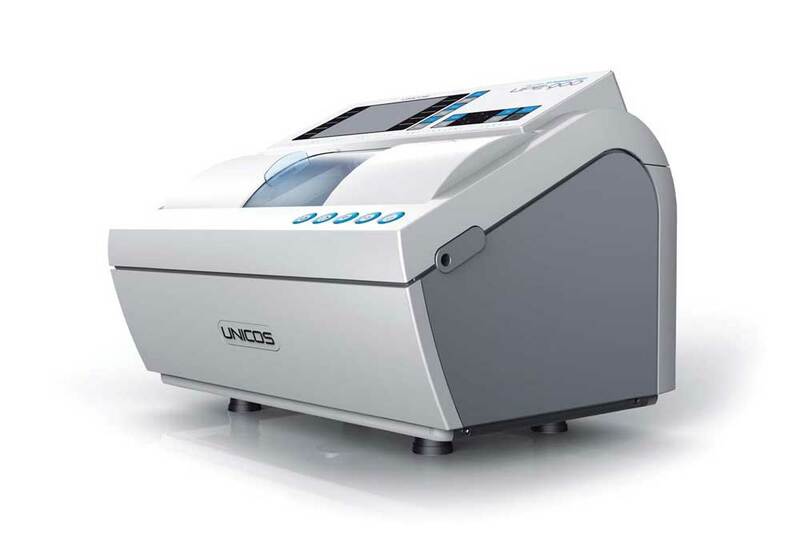 It includes multiple instrument wells, variable overhead light, and adjustable instrument arm to aid in a comfortable exam for both patients and practitioners. The electric slit lamp arm provides smooth operation and a comfortable patient experience without the worry of hydraulic fluid leaks. 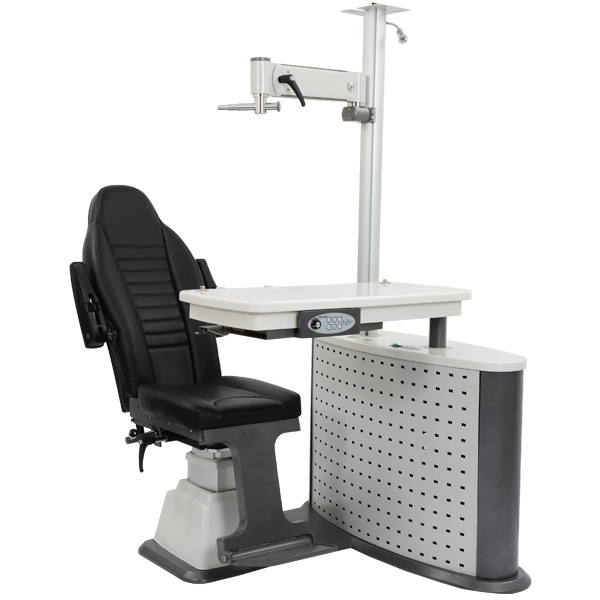 Additionally, the modular slit lamp arm allows for easy installation and maintenance. Chair and BIO controls on the instrument console as well as chair controls on the slit lamp arm provide ultimate convenience. The Burton XL-4000 full power chair is multi-functional, allowing a patient to be fully reclined, rotated, and comfortably repositioned. Movement control is powered with a quiet, DC-Marker motor. 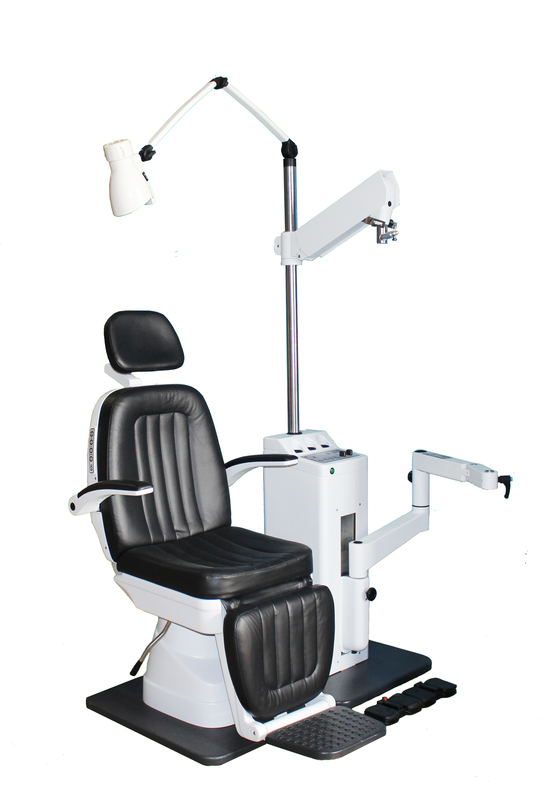 Power recline, up/down, and return can be controlled by buttons on each of the sides or the foot pedal, and the headrest is adjustable with a single locking lever providing convenience for the doctor. Installation can be for either right-handed or left-handed operation. USB probe and exclusive Sonomed Escalon software to turn your laptop computer into an A-scan or B-scan. Good image quality and intuitive software make the Master-Vu the best in class.